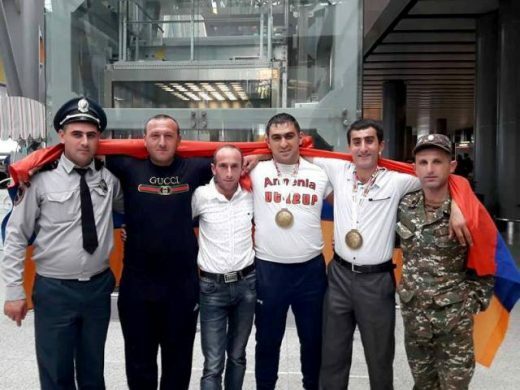 In October of 2018, “Dyucaznagirq” Association awarded Nver Gharibyan “Dyucaznagir” that he had lifted 9,800 kg of hanging hooks in each hand and rose 45 times in 30 seconds at the same time: performing the same exercise 102 times in 40 seconds. 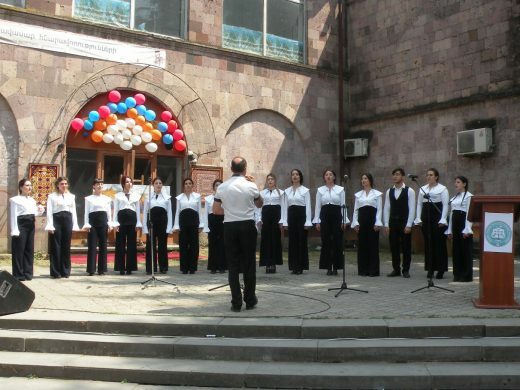 This record was registered in RA “Dyucaznagirq” Book of Records. 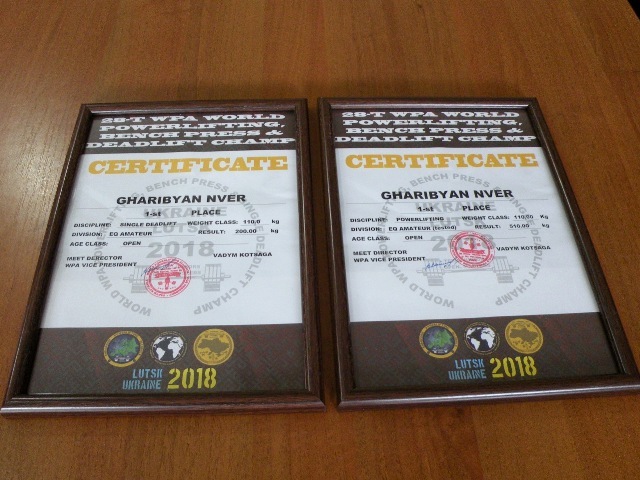 In this connection, we interviewed Never Gharibyan, YSUIB Faculty of Emergency Situations, Athletics and Sports, World Cup 2nd prize winner (2016), European champion (2016, 2017, 2018), world record holder (2018), “Dyucaznagirq” record holder (2018 ), master of sport of the international class of Armenia. 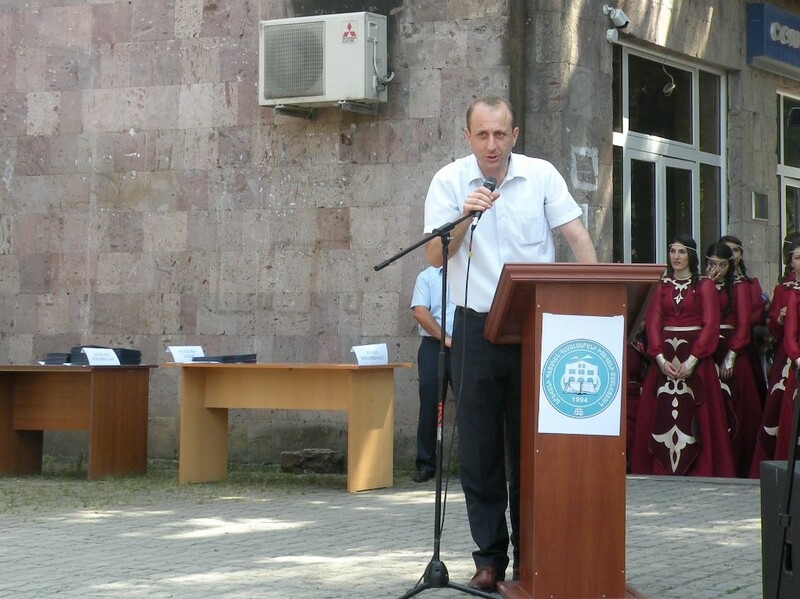 –Mr. Gharibyan, on behalf of YSUIB Directorate and on behalf of university staff, we sincerely congratulate you on the occasion of your victory, wishing you new achievements in your sports and coaching career, numerous occasions to enjoy the victory, and thank you for participating in the interview. – Mr. Gharibyan, we would like to know When and for which sport did you apply for the official registration of your record and when you receive the record certificate “Dyucaznagir”? 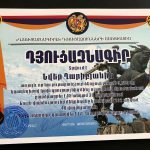 – In 2018, On September 16, the corresponding record was registered by “Dyucaznagirq” Association committee headed by Vardan Tovmasyan and on October 10, I received the certificate. 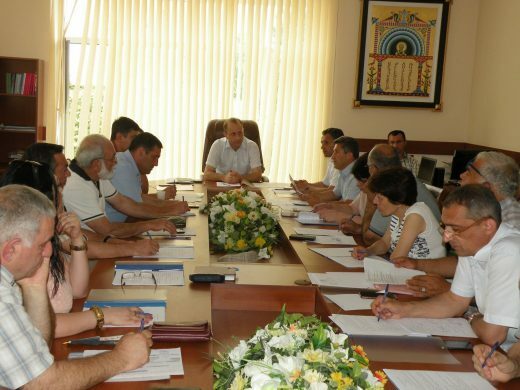 -How long have you been preparing for this record? Whether the next victory easily won by World Cup 2nd prize winner, three-time European champion and world-class sports master Nver Gharibyan? 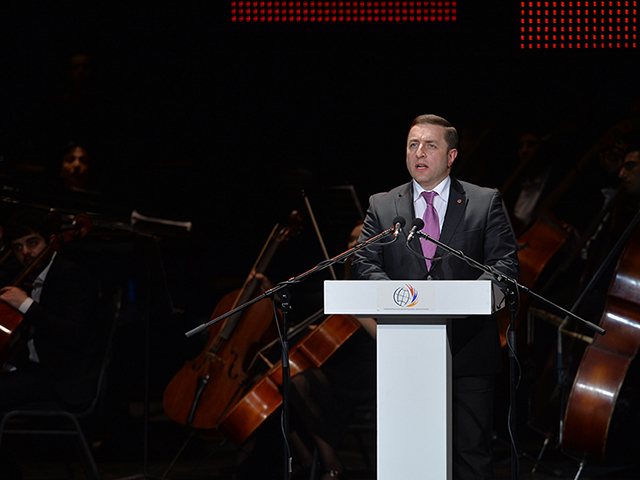 – I have been preparing for this record for about two years. 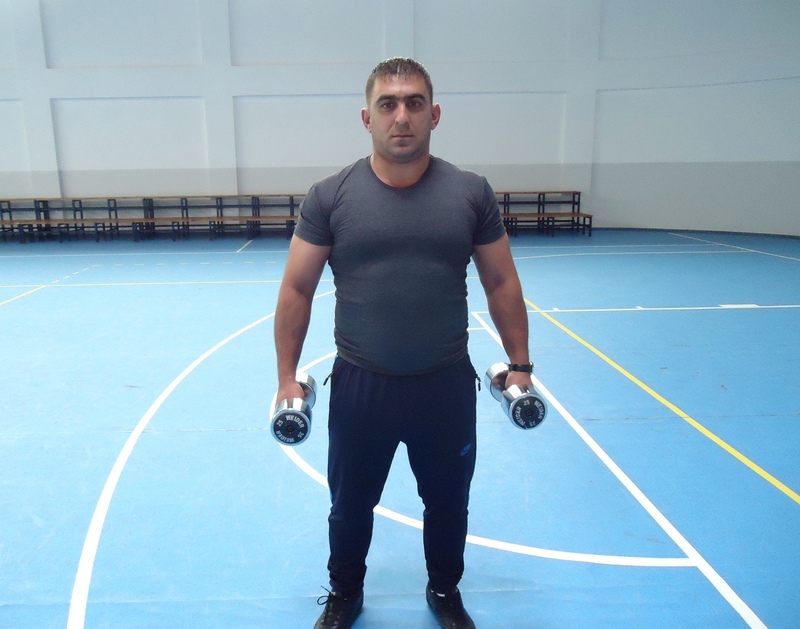 It was very complicated because the exercise requires speed and power, great effort and energy, long-term training. 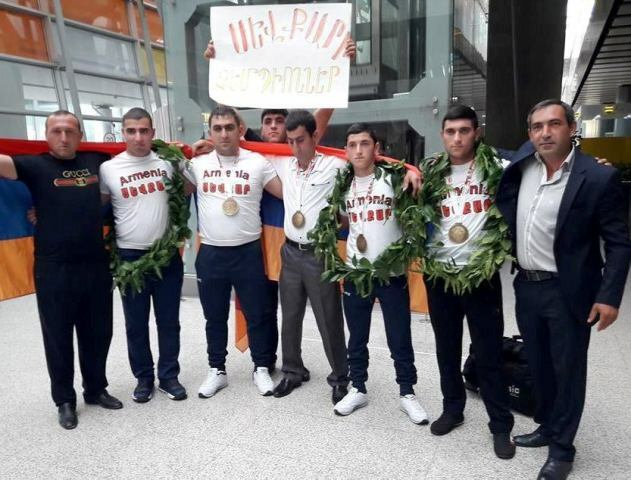 – As a sportsman winning many times, do you agree that the more difficult the path of victory, the sweeter the joy of victory. 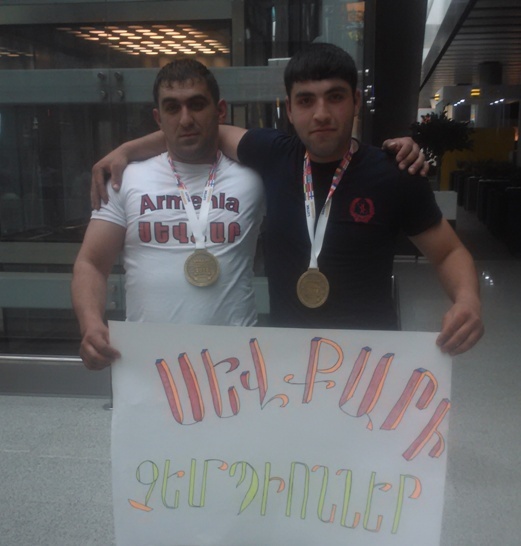 Which of your numerous victories and achievements is more valuable to you? – Yes, I agree, what is difficult to achieve is expensive and endless efforts, hard work and trainings are required to achieve high results. 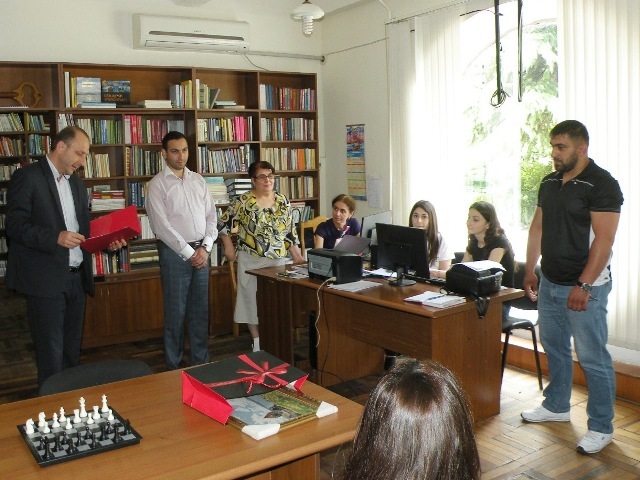 Any victory is valuable to me, as I have passed a long and difficult way to achieve those victories. 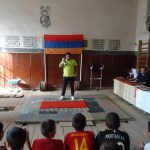 My second participation in the European Powerlifting Championship (2017) was very important for me. 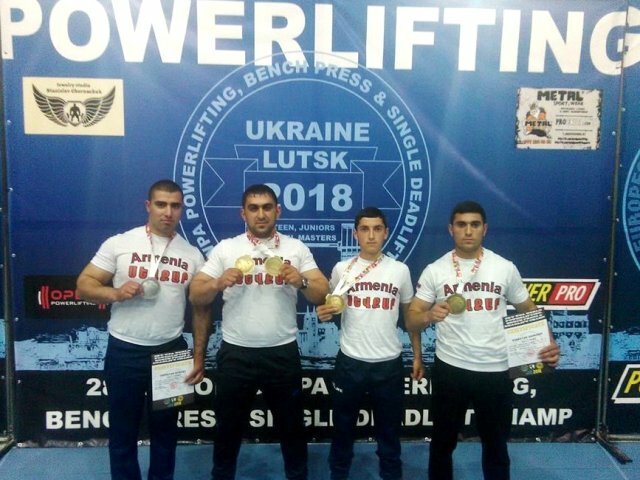 For the first time I took part in the European Championship in 2016 and lost to my opponent. 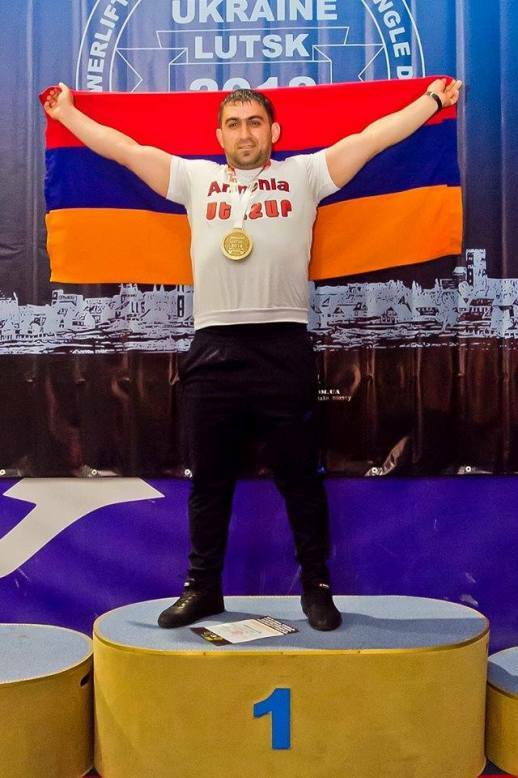 I had a problem to prove that I was able to win, and I won, becoming a champion, in Europe Powerlifting Championship of 2017. 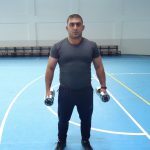 –What future plans do you have with regard to sports and coaching work, what are the new achievements that you would like to win? 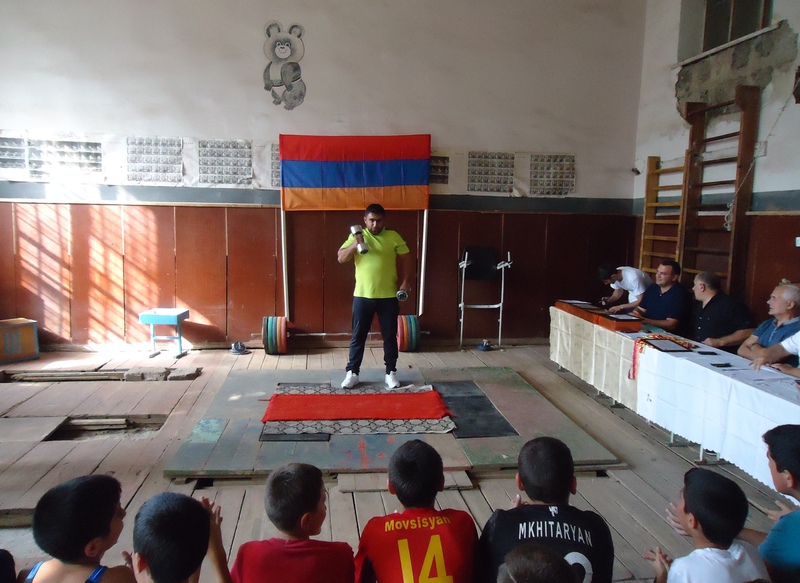 – It is a privilege for any athlete to take part in the Olympics during his sporting career, but my sport (powerlifting) is not yet an Olympic sport. 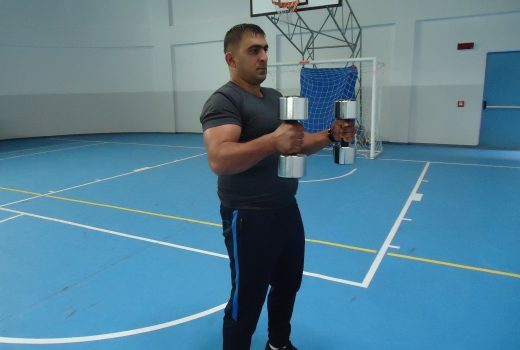 So far, I think, I have won all the titles (world champion, three-time European champion), and there is no such a championship that I would like to participate in. During my coaching career, my athletes won in many competitions, I have three Armenian sportsmen of international class, two Armenian sports master, three of my pupils study at the Armenian State Institute of Physical Culture and Sports. In the nearest future (November 16-18, 2018) four of my athletes will participate in the European Powerlifting Championship in Tbilisi as part of the Armenian national team. 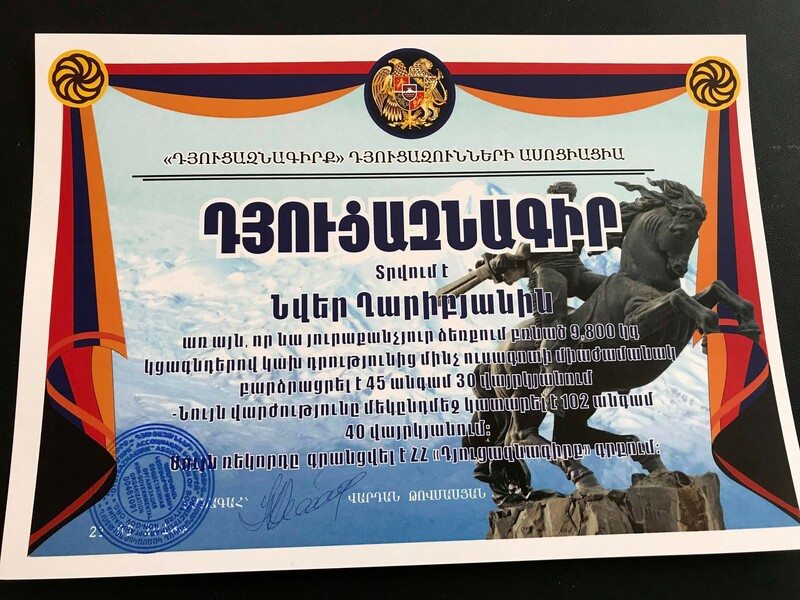 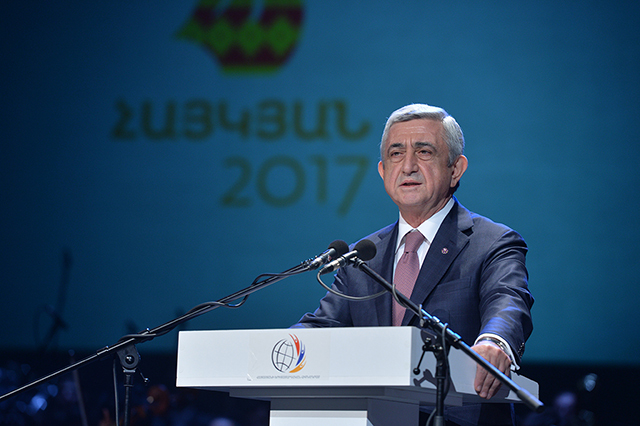 – Your new achievement (becoming a record holder of “Dyucaznagirq”), Mr. Gharibyan, is not only a significant event for the branch and the sport world, but also a kind of inspiration for our students and youth of the region. 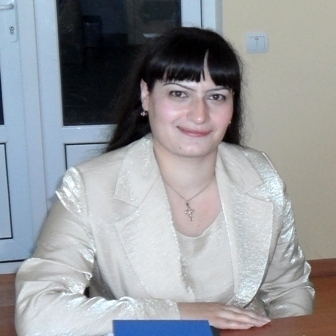 Once again, we congratulate you and wish you new victories and thank you for taking part in the interview. 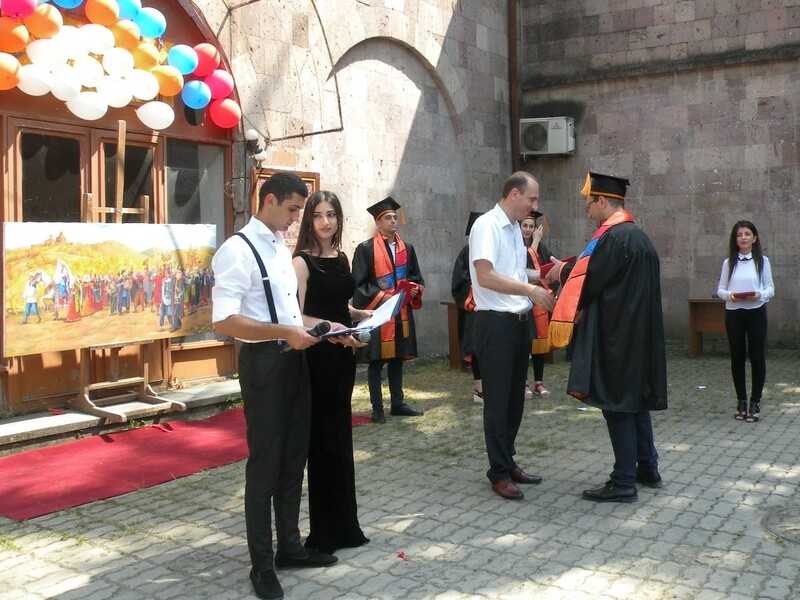 On July 10 of 2018, the solemn ceremony of diploma awarding to 271 graduates of Ijevan Branch of YSU Foundation of 2017-18 Full-time and Part-time learning was held. 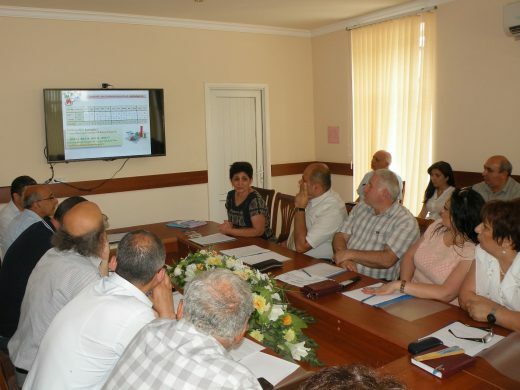 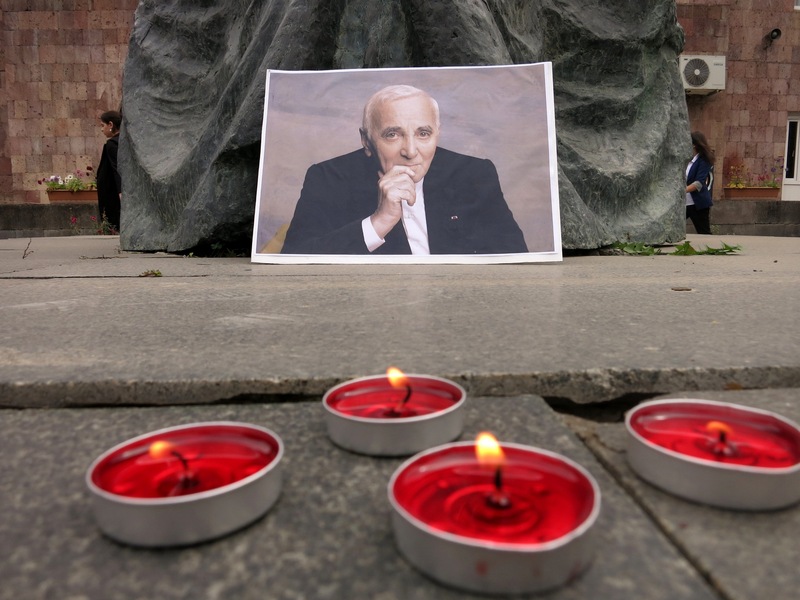 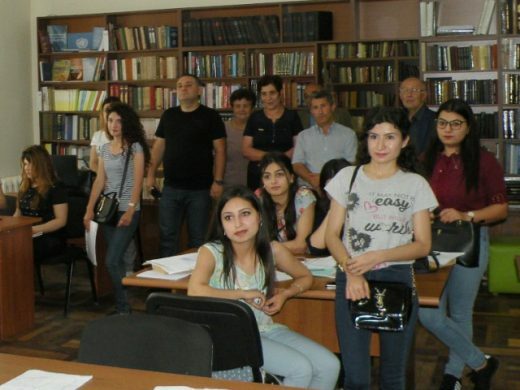 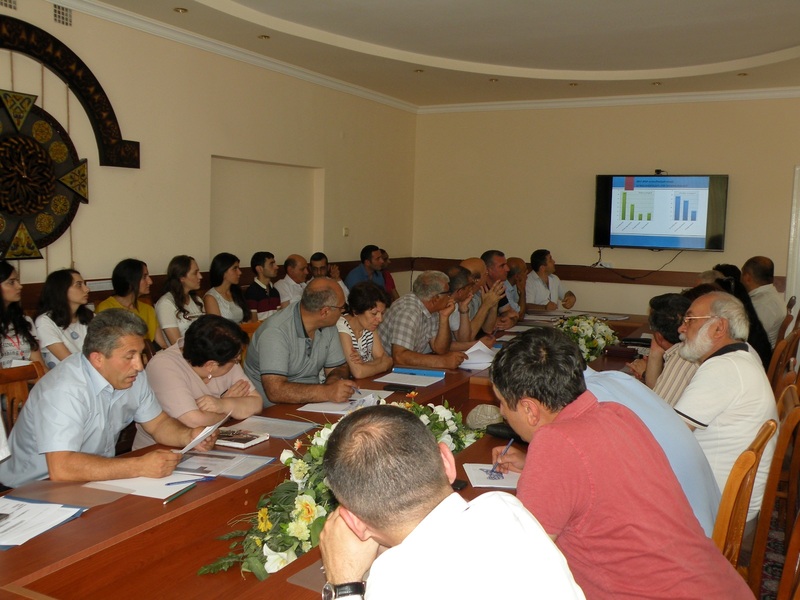 The event was preceded by an annual meeting of the Scientific Council, attended by members of Scientific Council, members of the administrative and professorial staff of the University, representatives of Tavush regional administration. 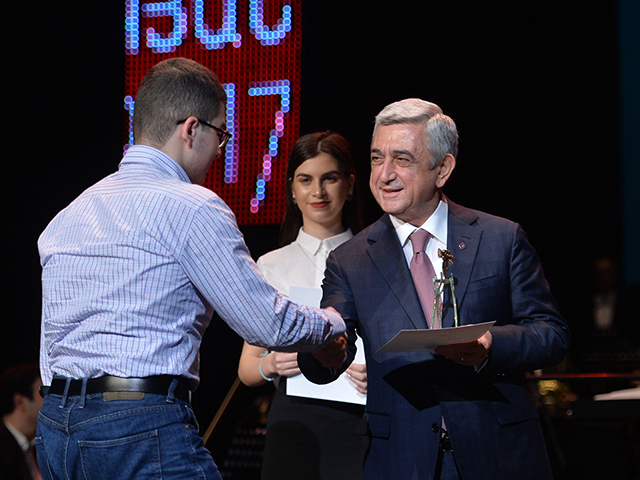 During the meeting, the results of YSU IB 2017-2018 final certification and graduates satisfaction assessment of 2018 academic year were summarized. 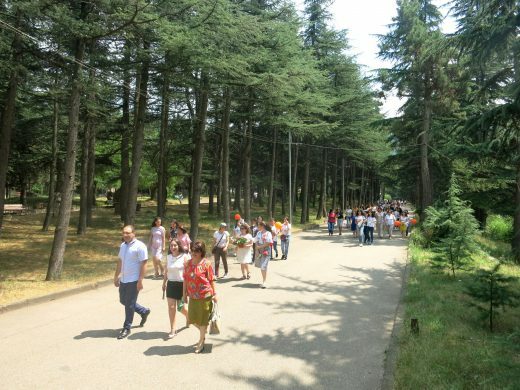 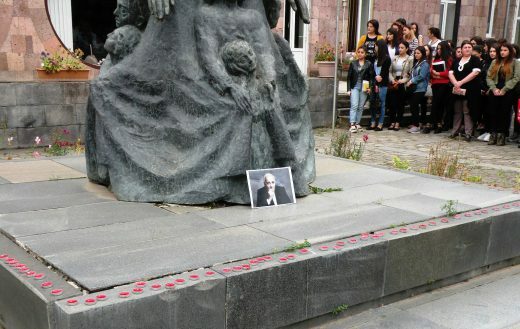 After the meeting of the Scientific Council, YSU IB universitarians (students, graduates, lecturers, staff members) gathered in YSU Ijevan Branch yard, marched to Ijevan fountains square. 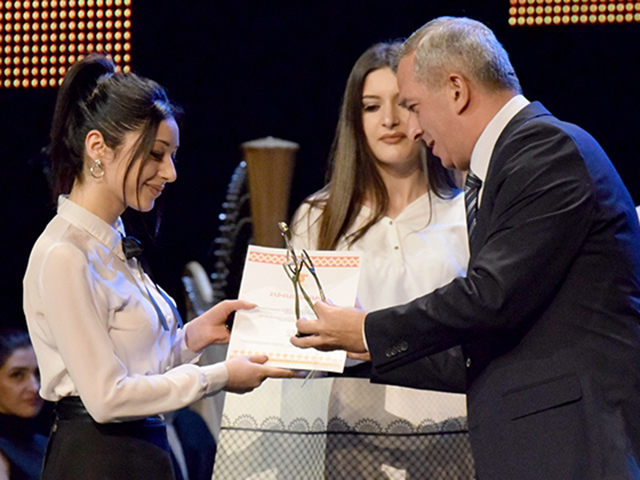 In the heart of the city, the solemn ceremony of diploma awarding to 271 graduates of Ijevan Branch of YSU Foundation of 2017-18 Full-time and Part-time learning was held. The most anticipated and significant day for students became a city holiday. 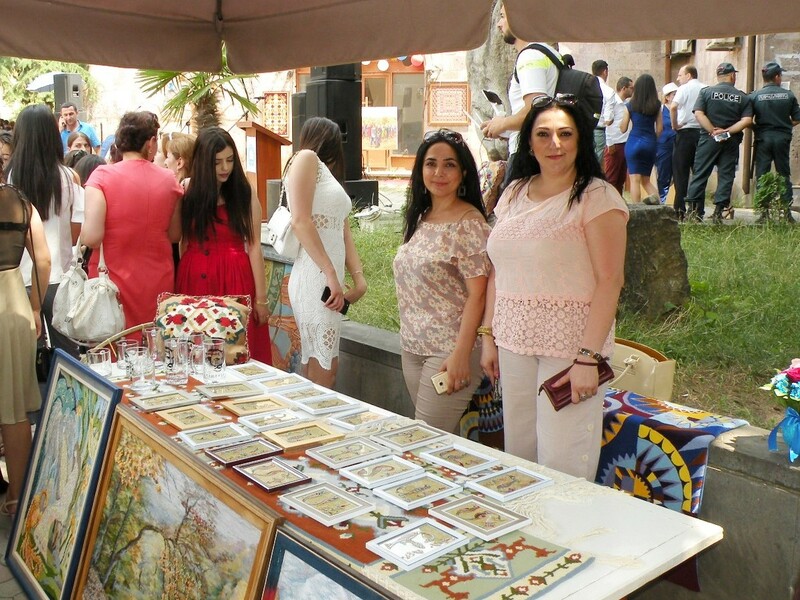 The festive event was accompanied by a colorful works exhibition of YSU IB Faculty of Applied Arts graduates and a beautiful concert organized by YSU Cultural Center (Director, Karine Davtyan). 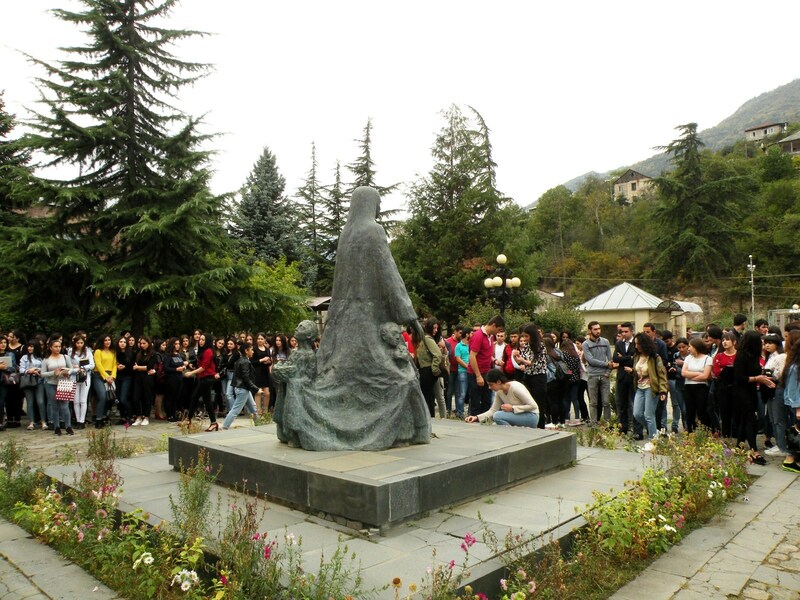 The solemn ceremony was opened with prayer and hymn. 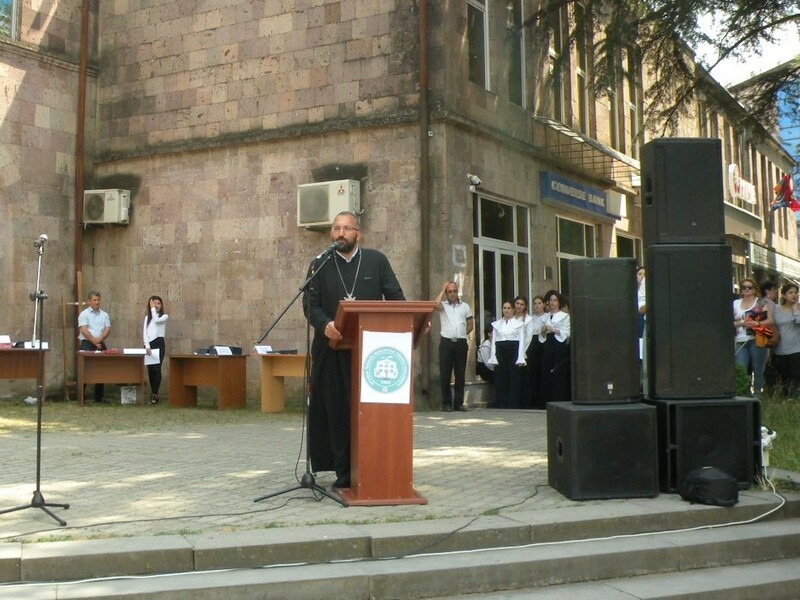 Primate of Tavush Diocese, on behalf of Bishop Bagrat Galstanyan, Bishop Simon Arakelyan delivered a blessing and prayer, congratulating YSU IB graduates. 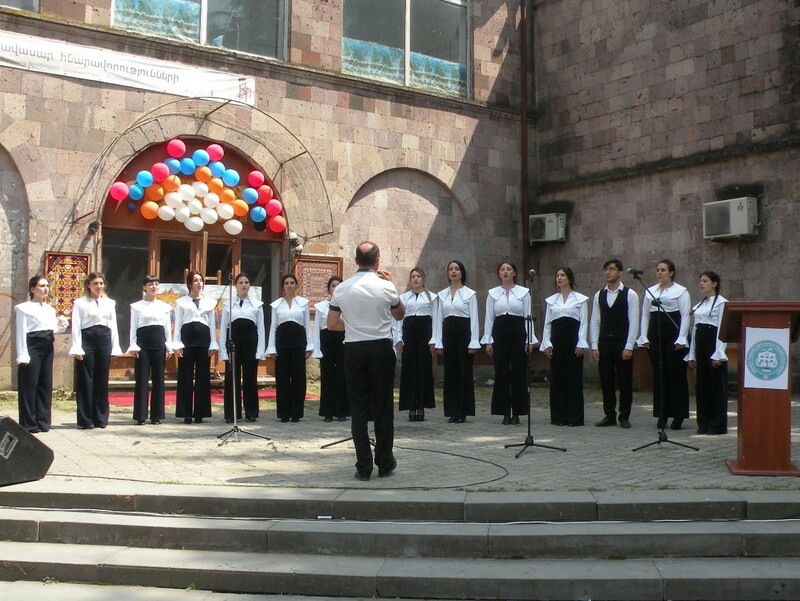 The national anthem of the Republic of Armenia was performed by YSU Cultural Center choir (art director, RA Honored Art Worker Karen Sargsyan, conductor Ruben Karaseferyan). 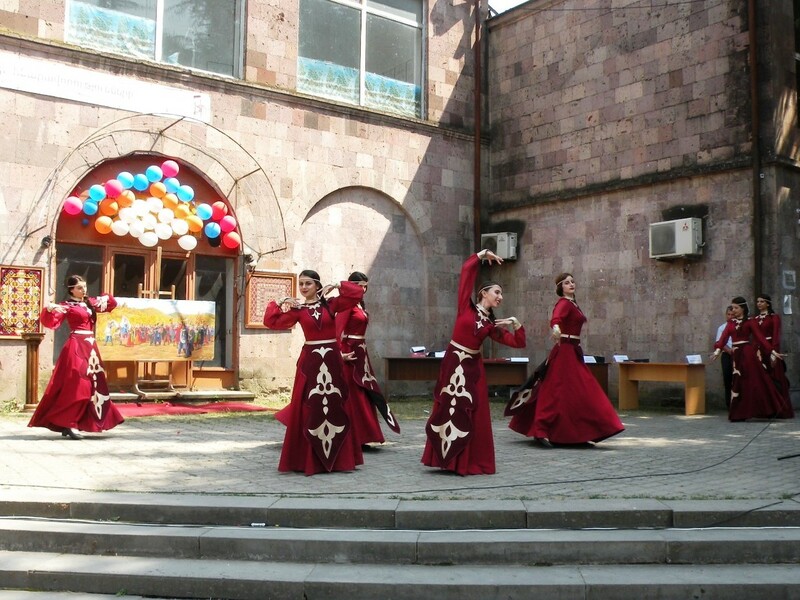 The dance group of YSU cultural center performed a beautiful Armenian dance on the stage (art director Ani Haroyan). “Dear students, graduates, employees, parents, Ijevan population and guests, YSU Ijevan Branch makes a great contribution to organizing the scientific, cultural and public life of the region. The presence of the branch in the region and in the republic is noticeable because its graduates have acquired the necessary knowledge; have the qualities corresponding to their professional qualifications, ready to compete in today’s economy, education, politics and culture. 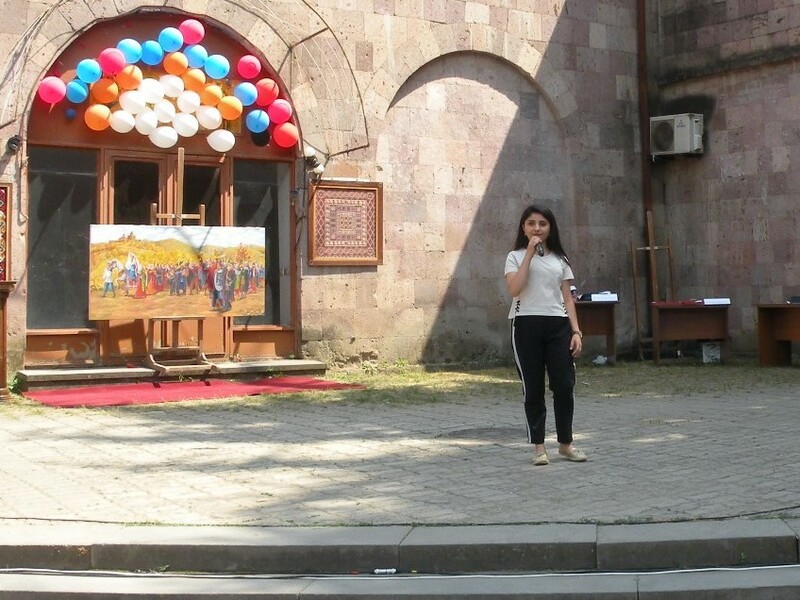 Mary Petrosyan, a 2nd year student of the Faculty of Humanities of the Yerevan State University Ijevan Branch, performed “Armenia” song. Then the solemn ceremony of diploma awarding took place. 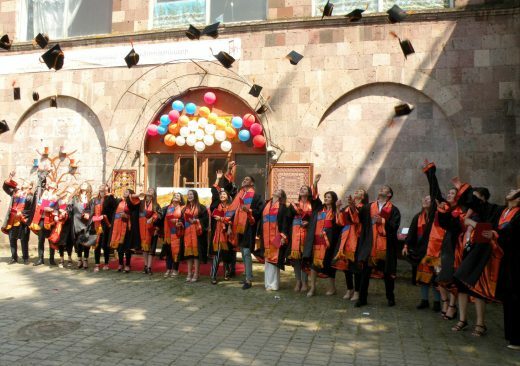 First of all, A. V. Tsutsulyan awarded the graduates with honored diplomas and then graduates according to the faculties and specialties. 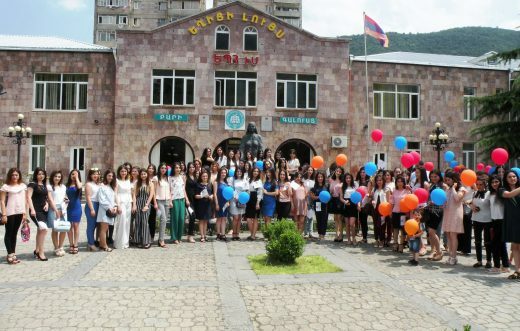 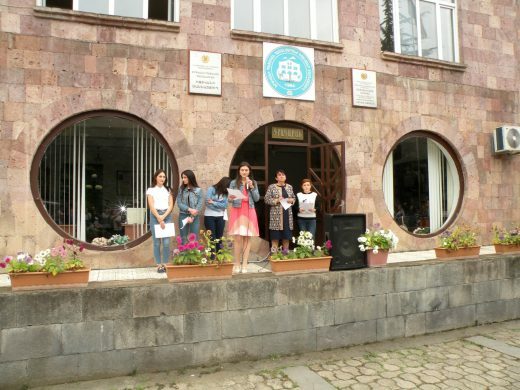 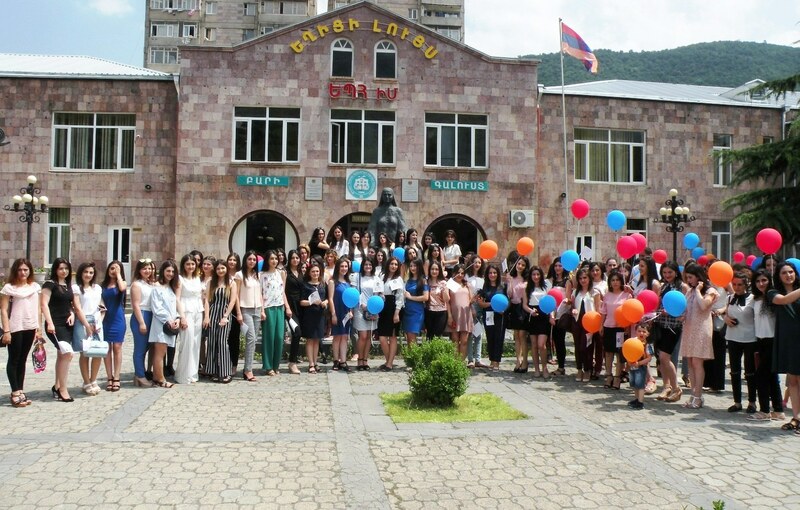 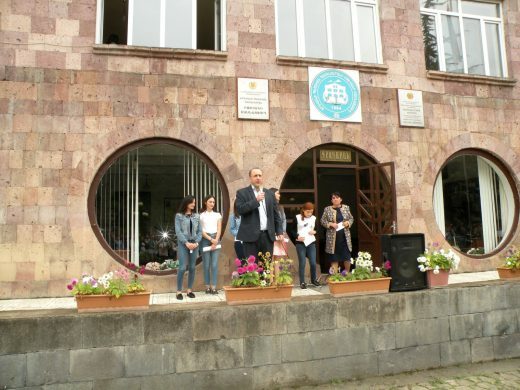 YSU Ijevan branch graduate of 2018 academic year, former Student Council Chairman Iskuhi Shakhbatyan delivered a congratulatory speech. 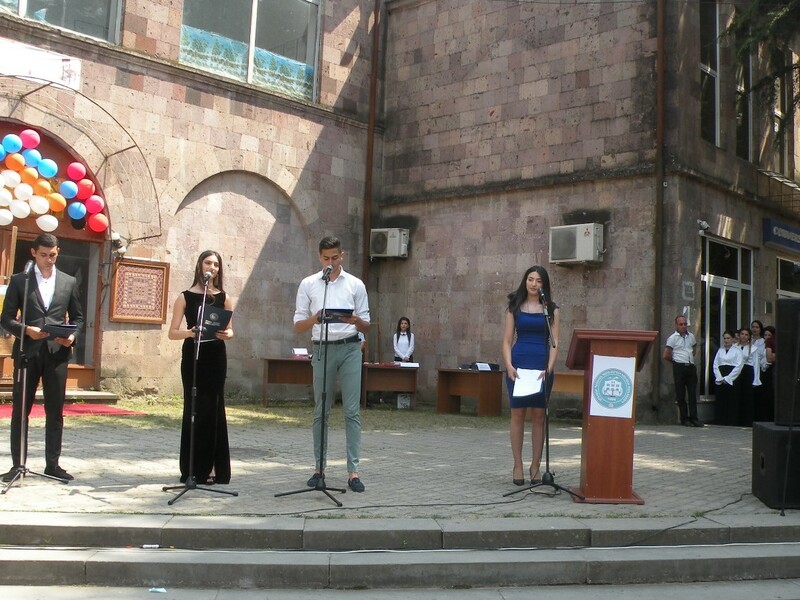 YSU IB 2018 academic year diploma awarding ceremony was held by YSU Cultural Center “Hamalsaranakan” theater-studio, 3rd year student of the Faculty of Journalism Karine Simonyan and 2nd year student of the Faculty of International Relations Garnik Arakelyan. 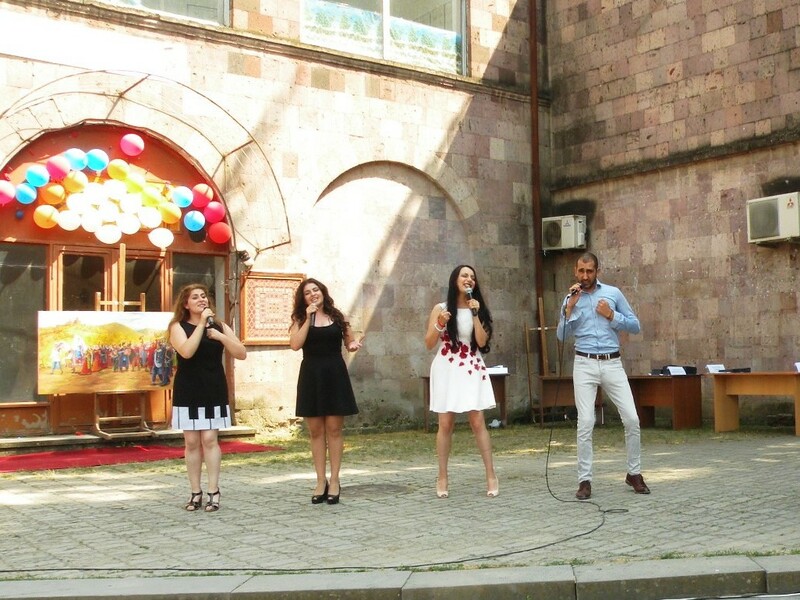 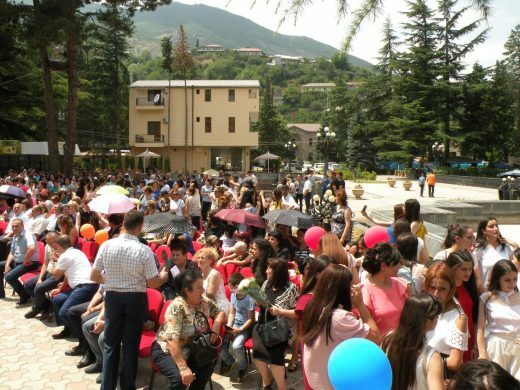 The festive day ended with a musical-dance party organized in the nature of Tavush, in the territory of “Apaga tour” hotel in Yenokavan.